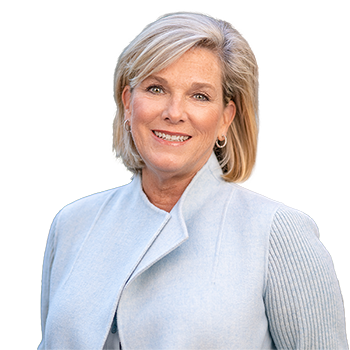 Joanne Pinover is a fourth-generation Washingtonian with first-hand knowledge of the numerous neighborhoods comprising the Northwest Washington and Montgomery County submarkets. Raised in a household where the matriarch was Cornelia Boland, one of the Washington area�s top Realtors during the 1970s and 1980s, Joanne began her career in real estate in 1989 and learned first-hand what it takes to be a great realtor. Joanne�s greatest strengths are her knowledge of the contract, her years of experience, her high energy level and her love of people, all of which are immediately apparent the moment one meets her. She always puts the client first and makes sure to go the extra mile for each of her clients. Although Joanne is very proud of the numerous multi-million dollar transactions she has successfully handled, she is most proud of the many great friendships that have evolved from so many of her agent/client relationships. Joanne is truly a people person, and because of this her clients respect and love her. Complementing Joanne�s enjoyable personality is her thorough knowledge of the real estate sales and purchase processes. Many of her clients are extremely successful professionals who are at the top of their own areas of expertise. These clients look to Joanne for her extensive knowledge of the Washington-area real estate market and her exceptional ability to smoothly handle real estate transactions. Clients appreciate her solid understanding of all aspects of the sales process and appreciate the creativity she is able to employ to bring her transactions to fruition and closing. Joanne is proud to handle transactions in all price ranges. She firmly believes that every client deserves 100% from her regardless of the transaction size. Her repeat business and past client referrals are testimony to her professional integrity and dedication to her clients. Joanne is proud to have been recognized by REAL Trends, as advertised in The Wall Street Journal as one of the 2016 Top Washington, D.C., Area Individual Real Estate Professionals by Transaction Volume. Joanne lives with her husband Scott and their two children in Bethesda, Maryland.